Salil's eyes were tired and drowsy, but he didn't sleep. No! My reputation will spoil if I don't get the first rank! Ego stopped him from listening to his body. The Alarm clock struck 1:00pm and he woke up with a jolt_horror-struck!. He had slept for five hours and his exam was already over.....! The Moral of the Story is: "When you overwork your body, it gives you warning signs and if you ignore those warning signs you face the consequences!" 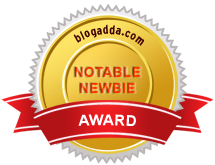 This post is a part of 'The moral of the story is' contest held at Indiblogger in association with he Healthy Speak Blog. Good one Bushra. Short n crisp to the objective.All d best. Nice way to get your thoughts across in a sweet and short way. Excellent Bushra! You said it all in this short post. Hmmmm...Several times i missed class test...but of course not for overworking ! Shop Smart Online with DesiDime! A Gourmet Party To Remember!